← Sola Coffee Café 1st Anniversary Celebration April 5-6th! Cary Downtown Farmers Market Opens Saturday April 6th! The Cary Downtown Farmers’ Market will open Saturday, April 6 2013, offering Cary and surrounding areas fresh, local food, artisan goods, and a blossoming sense of community. The Cary Downtown Farmers Market and residents of Cary are excited for the 22nd opening of their beloved Farmers Market this Saturday, April 6th. Visitors to the market can expect to see many of the same vendors they have come to depend on at the market. Vendors will be selling locally grown vegetables and fruit, pasture-raised meats, eggs, honey, seafood, crafts, and baked goods. The market is located at 301 S. Academy Street, Cary, across from the downtown Cary library. Opening day at the market will include an exciting scavenger hunt based on the fresh foods offered at the market this week; live kid-friendly music from the Motley Tones, a jolly band of singing pirates; and a cooking demonstration, by Alyssa Campo, using fresh, local vegetables from market vendors. Children that plan to participate in the scavenger hunt should stop by the information desk to pick up a map when they arrive. 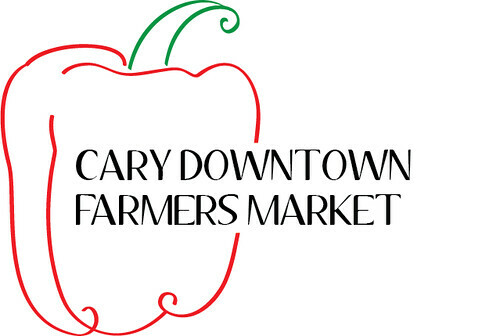 Cary Downtown Farmers Market will also be introducing their new Market Manager, Karmen Paterson. Karmen is an Agricultural Business and Environmental Science student at NC State expected to graduate in May. Karmen, having grown up around chefs, has a passion for food and eating. She believes in sustainable agricultural and buying locally for healthy citizens and the economic growth of downtown Cary. Stop by the information desk to meet Karmen and welcome her to the market. A strong community has developed at the market over the past 22 years. Consumers are able to get to know and trust the farmers who make their food while sampling produce, learning about where and how the food is grown, and talking about recipes with other shoppers. The market runs from April through November on Tuesdays from 2-6, and Saturdays from 8-12:30. November through March, the market is open on Saturdays from 8-12:30. The market is always open, rain or shine! The market’s mission is to be a cozy place for people to shop for goods they can feel great about, and to build bonds between Cary residents and their local farmers, which will ultimately strengthen the area’s sense of community. The market is a growers-only market, with only handcrafted goods for sale, no re-selling is allowed. The market features items grown or crafted by the vendors, who have traveled less than a 100-mile radius of downtown Cary. The market is always open, rain or shine! For more information, please visit their website at caryfarmersmarket.com or the Cary Downtown Farmers Market facebook and twitter page. You can also see some great pics of the 2012 Market in a great post by Triangle Localista here.